With poolside dolphin interactions to shallow water adventures, swimmers get a unique experience! Find out how these intelligent creatures communicate with each other, and with you! A very good experience for the nature lovers. Instructor is knowledgeable with good experience in training the dolphins. Dolphins can really do whatever is asked by the guide. 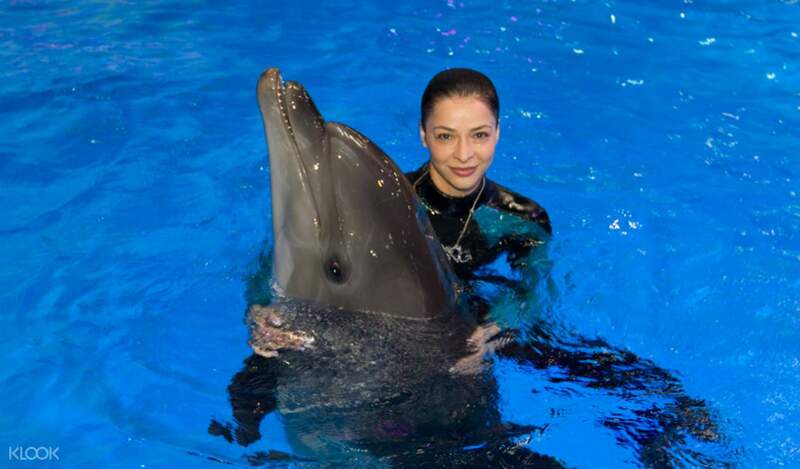 You can finally get right up close to some of the most brilliant mammals in the planet through two unique experiences available right in the Dubai Dolphinarium! 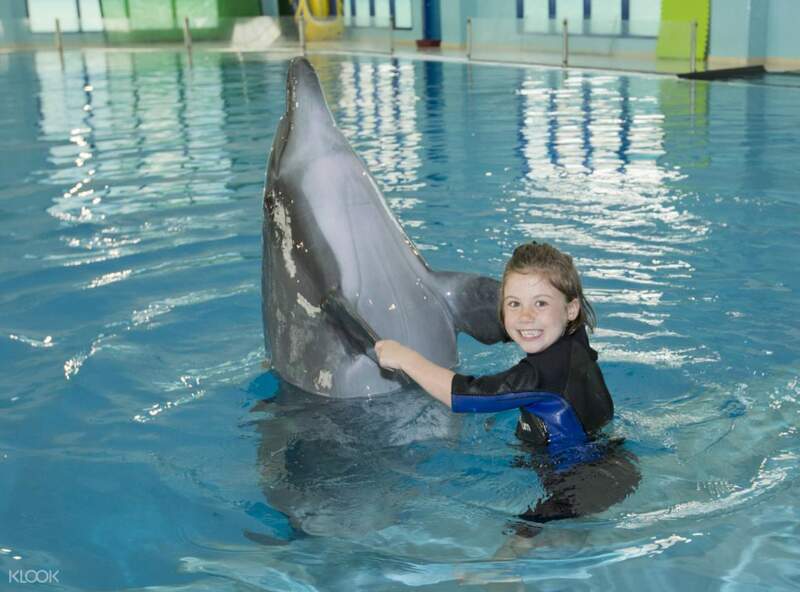 You can get to meet the charming dolphins of the Dolphinarium without having to get wet on the Meet & Greet experience, which allows you to get right up close to the dolphins. 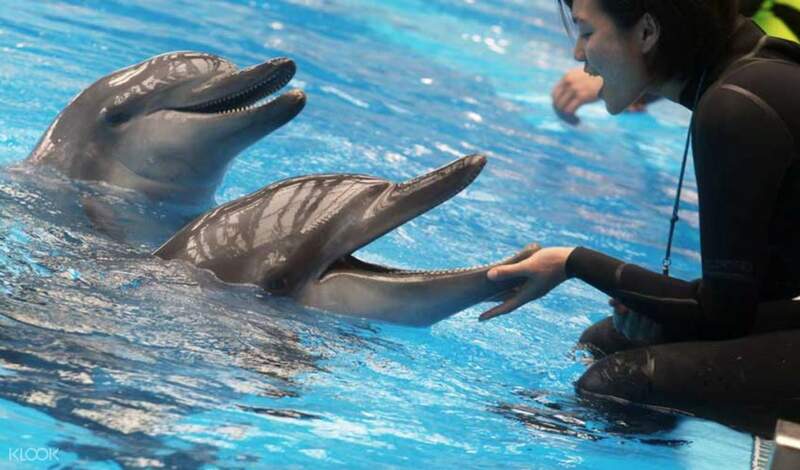 You can kiss, hug, and even dance with them from the side of the special dolphin pool. If you want a truly interactive experience, however, the Shallow Water Experience is for you. You get to walk into the knee deep water and get up close to the dolphins, playing ball with them, getting to hug and kiss them, and even hear them sing around you. All the while, you will hear from the trainers and instructors in the Dolphinarium about these dolphins, their species, where their natural ecosystem is, and what we can all do to protect them from the very real threats to their environment in the outside world. It's a thrilling learning experience that's perfect for kids and adults alike. Wade into shallow waters to kiss, hug, and play with the dolphins! A very good experience for the nature lovers. Instructor is knowledgeable with good experience in training the dolphins. Dolphins can really do whatever is asked by the guide. A very good experience for the nature lovers. Instructor is knowledgeable with good experience in training the dolphins. Dolphins can really do whatever is asked by the guide. We took the swim with the dolphins experience and can't recommend it enough, the trainer and staff were nice, the dolphin was amazing! Really enjoyed it! We took the swim with the dolphins experience and can't recommend it enough, the trainer and staff were nice, the dolphin was amazing! Really enjoyed it! very bad . my booking had been cancelled last minute which is a day before . very bad . my booking had been cancelled last minute which is a day before .